In a statement, posted on Twitter, the director-choreographer, said she completely stands in solidarity with any woman who has faced harassment. 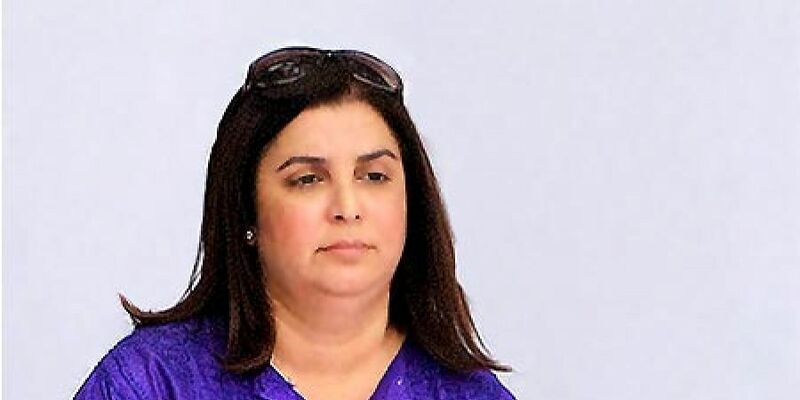 Filmmaker Farah Khan (PTI Photo). MUMBAI: Farah Khan Friday said the sexual harassment allegations against her filmmaker brother Sajid Khan are "heartbreaking". "This is a heartbreaking time for my family. We have to work through some very difficult issues. If my brother has behaved in this manner, he has a lot to atone for. I don't in any way endorse this behaviour and stand in solidarity with any woman who has been hurt," she wrote. Sajid was accused of sexual harassment by two women -- actor Saloni Chopra and a journalist. Following the allegations, Sajid Friday stepped down as the director of "Housefull 4". In a post on Twitter, the director said he was taking the "moral responsibility" to step down till he can allay the allegations. "In the wake of the allegations against me and the pressure being put on my family, my producer and the stars of my film 'Housefull 4', I must take the moral responsibility of stepping down from my directorial post, till the time I can allay the allegations and prove the truth. Request my friends in the media to kindly not pass judgment till the truth is out," he said. Sajid's cousin, actor Farhan Akhtar, who has been a vocal supporter of #MeToo movement, said allegations against the filmmaker were shocking. "I cannot adequately stress how shocked, disappointed and heartbroken I am to read the stories about Sajid's behaviour. I don't know how but he will have to find a way to atone for his alleged actions," he tweeted.